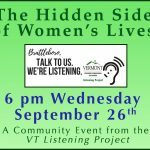 Join Brooks Memorial Library on Wednesday, September 26 at 6 pm as the Vermont Commission on Women presents: The Hidden Side of Women’s Lives, a special event highlighting their statewide listening project, which is designed to help voice the concerns of women around the state. Brattleboro Commissioner Emilie Kornheiser and Saxtons River Commissioner Carol Buchdahl will be present, as well as Commission Director Cary Brown. 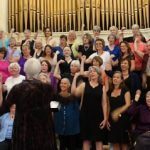 The fall session of the Brattleboro Women’s Chorus will begin on September 5 and 6 with open rehearsals for any women or girls over age 10 who would like to try out the chorus without obligation. Founder/director Becky Graber traveled with 18 chorus members to the Sister Singers Festival in Grand Rapids, MI in June, where they not only performed but also heard lots of wonderful music by other women’s choruses. Some of these songs will be included in the fall repertoire. With Sue Fillion’s appointment to become Planning Director, I got to thinking about just how many women are in key postions of Town government. I took a look. 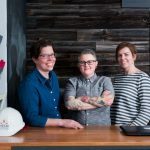 The majority of town offices in Brattleboro now have women heading them. West Brattleboro, Vt. — Friends of Music at Guilford, now in its 52nd concert season, is presenting its 9th annual Women in Music house concert gala on Saturday, April 21. 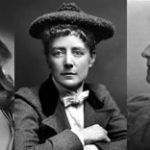 This season’s celebration toasts three noted British composers with diverse and distinguished personal histories: Madeleine Dring, Dame Ethel Smyth, and Lucy Broadwood. The event, which is held this year in an award-winning energy-efficient home in West Brattleboro, begins at 6:00 p.m. with a festive buffet of hearty hors d’oeuvres, salads, and side dishes, continues with the concert at about 7:00, and concludes with a reception of dessert specialties donated by area inns, bakeries, restaurants, and private chefs.